Port 1/4, 3/8, 1/2, 3/4 or 1" BSP, NPT or Rc thread. Pressure 0.5 to 10 bar, tested to 15 bar air. 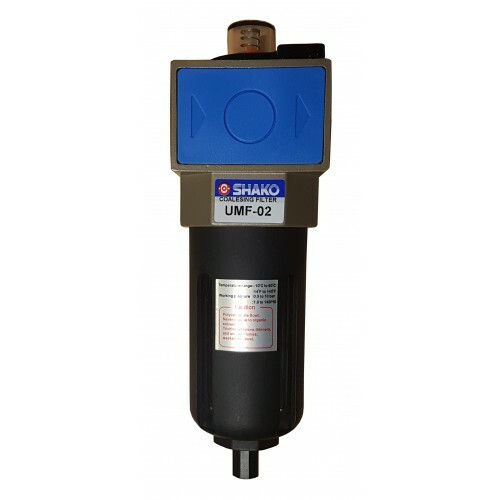 UMF breathing air filter with flow quality indicator, prevent the filter element from clogging. Air filter standard 0.01μm, optional activated charcoal filter element. High quality control ensures stable running and long life. Drain semi automatic or manual. Bowl standard with option for aluminium or acid / alkali resistant bowl for paint spray booth. Temperature range 0C to +60C. 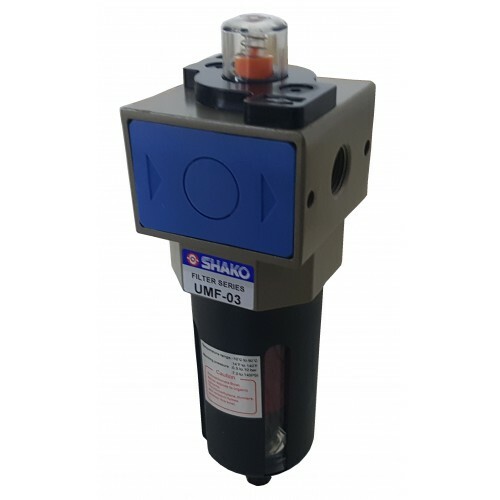 Miniature Air Filter Shako F200C-01-02 Port sizes 1/8 (option) or 1/4" BSP, NPT or Rc thread.Pr..
Air Filter Unit Shako UF-02-03-04-06-08Port sizes 1/4, 3/8, 1/2, 3/4 and 1" BSP, NPT or Rc thread.Pr..
316 Stainless Air Filter Shako USF-02-03-04All 316 stainless steel construction, excellent corrosion..
316 Stainless Air Filter Shako USF-06-08Port sizes 3/4 or 1" BSP, NPT or Rc thread.Pressure range US.. 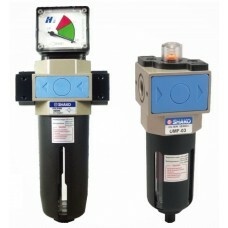 Vacuum Filter Unit Shako UV-02-03-04Port sizes 1/4, 3/8, 1/2" BSP, NPT or Rc thread.Pressure full va..